There are many reasons that your company may be experiencing a leadership gap, but the reason isn’t what really matters, the SOLUTION is. Without proper leadership a company can backslide very quickly. Often stopgap measures like a rapid promotion of an employee or a frenzied search and hire for a new leader backfire and cause more damage than benefit. SOS Leadership’s Interim CEO offering is here to help. Regardless of the circumstance that got you there, we can provide the leadership you need in a moment of crisis. We provide the expert leadership that you need to grow through change. We will ensure that you have the time you need to find the best fit for your future without falling behind or missing opportunities in the present. Provide stability during a time of transition. goals so that the company thrives while a long term solution is found. The interim CEO can also offer an objective viewpoint to assist in the process of finding the right long term solution. Maximize efficiency. 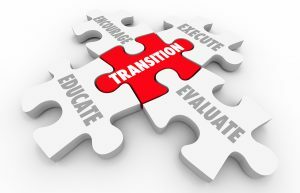 Often a transition at the top of an organization is coupled with a drop in efficiency. This is a typical result of uncertainty and change. Your SOS Interim CEO will provide the expertise and leadership needed to keep the team working efficiently and keep morale high. Preserve and grow your company image and visibility. A change in leadership can cause ripples in the many relationships your business needs to succeed as well as your public image. Your SOS Interim CEO will maintain and foster your company’s business relationships and ensure that the public sees the company growing, not failing, through this transition. Act as both the CEO and an Outside Consultant. With an SOS interim CEO, you don’t just get someone to lead you through a difficult transition. You also get the entire SOS team acting as outside consultants who can provide an assessment and provide ideas on how to improve. The interim CEO can then act to implement improvements. All organizations face challenges. SOS Leadership can help guide you through any issue. You should not tackle anything alone. Let us be your guide, your partner in success.